Come to BTH Motors today to discover the Subaru Outback, a 4x4 all-wheel drive crossover that's capable of holding its own when the going gets tough. Alternatively, test drive a used Subaru Impreza ? a nimble hatchback that will never fail to make you smile. 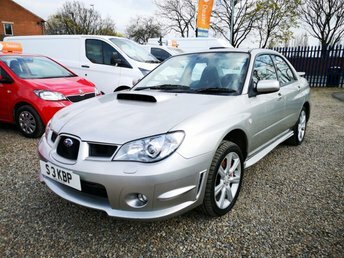 You can be sure of securing a great deal on a used Subaru for sale in Castleford when you come to BTH Motors. All of our vehicles are put through a rigorous inspection process before arriving on the forecourt, so you can drive away with complete peace of mind. Speak to a member of our showroom team to discuss your requirements and we'll do everything possible to help you find the right vehicle to fit your budget and lifestyle. Finance is available to UK residents aged 18 years or older, subject to status. Terms & Conditions apply. Indemnities may be required. Other finance offers may be available but cannot be used in conjunction with this offer. We work with a number of carefully selected credit providers who may be able to offer you finance for your purchase, commission may be received. We are only able to offer finance products from these providers. Postal Address: BTH Motors, Lumley Street, Off Mill Street, Castleford, West Yorkshire WF10 5LN. Find contact details here. BTH Motors is authorised and regulated by the Financial Conduct Authority, FRN: 660318. All finance is subject to status and income. Written Quotation on request. We act as a credit broker not a lender. We work with a number of carefully selected credit providers who may be able to offer you finance for your purchase. We are only able to offer finance products from these providers.